“Tell me about it, Stud“. Oh Sandy!!!! 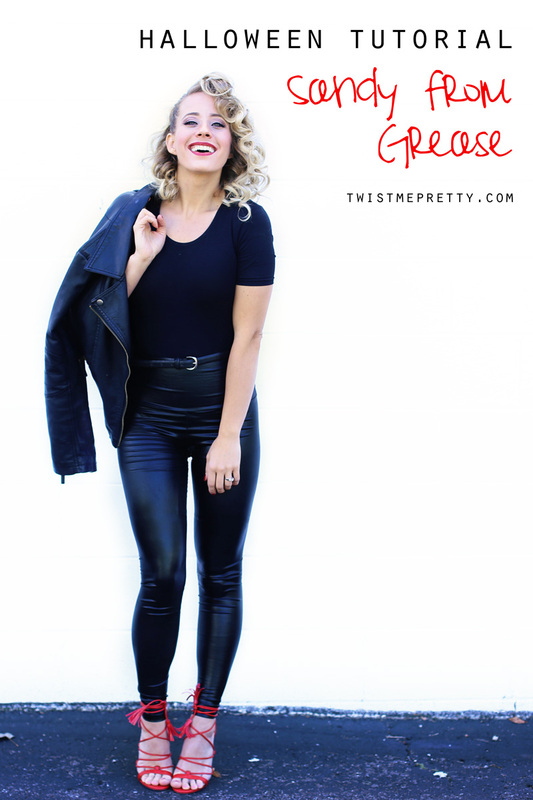 Grease is one of my all time favorite movies and I’ve been dying to recreate Sandy’s iconic look. 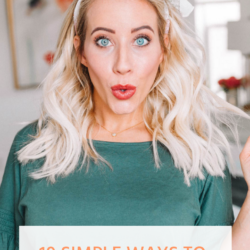 This is a fairly simple hair tutorial + Halloween costume that can be put together last minute. I snagged these leather leggings on Amazon and then already had the top, belt, red shoes and leather jacket. If you don’t have leather leggings, just wear black pants, people will totally get the idea and with a bold red lip and the fabulous 50’s hairstyle you’ll be lookin’ fabulous in no time. 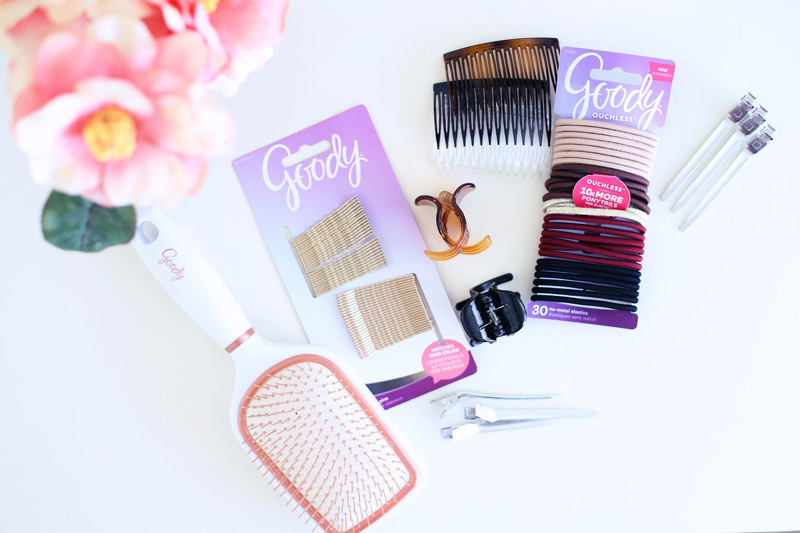 You’re going to need a few things to get started and I’m so lucky to be working with Goody on this post! 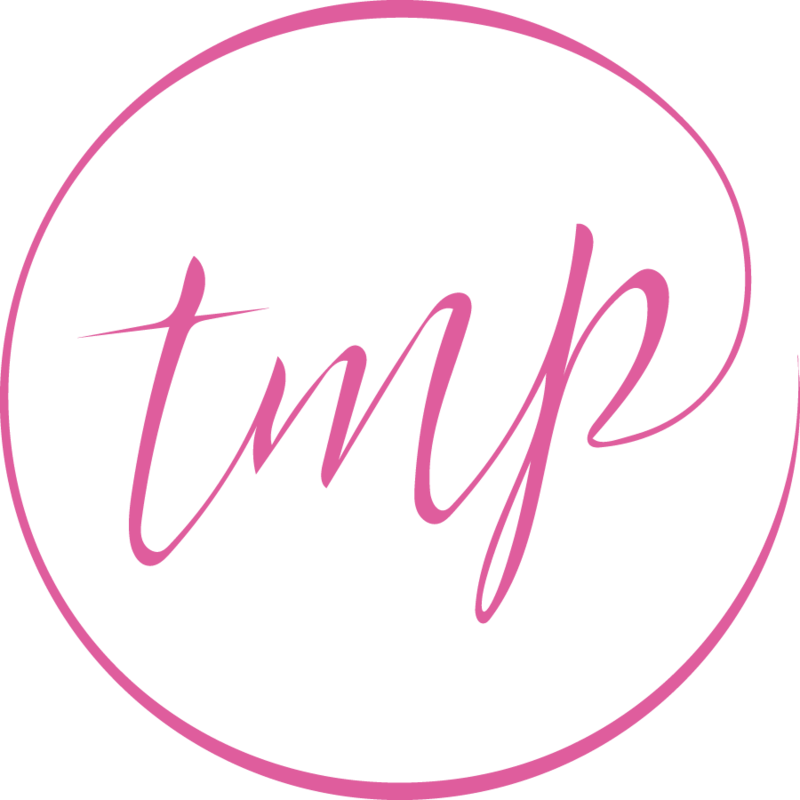 Their accessories and styling tools are so affordable and can be purchased online or at any drugstore. You’re going to need: a brush, a side comb, a claw, a couple bobby pins and curl clips or sectioning clips work too! 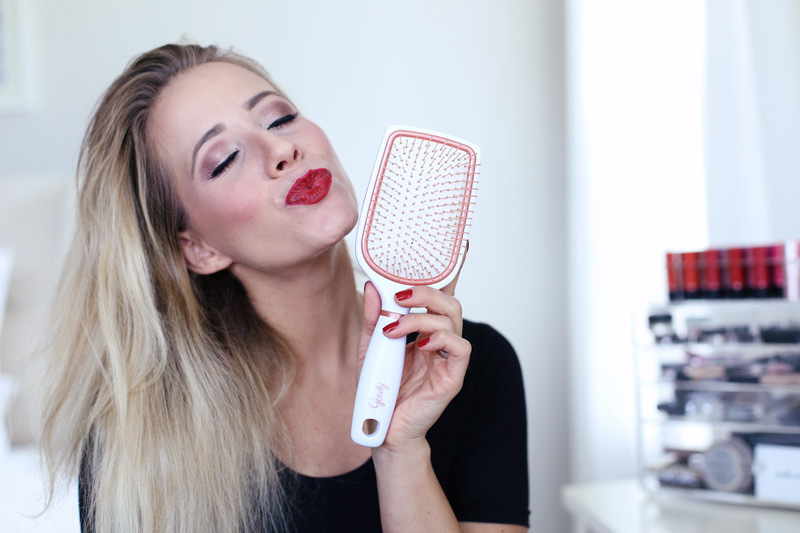 Can we just talk about how pretty this Clean Radiance Paddle Brush from Goody is for a quick second? It has copper bristles that reduce product buildup and a flexible cushion pad for added comfort! This brush totally plays into my love affair with white so I’m just a tad bit obsessed! I washed my hair last night and let it air dry so before getting started I’m quickly brushing through the snarls so we can get right to work. 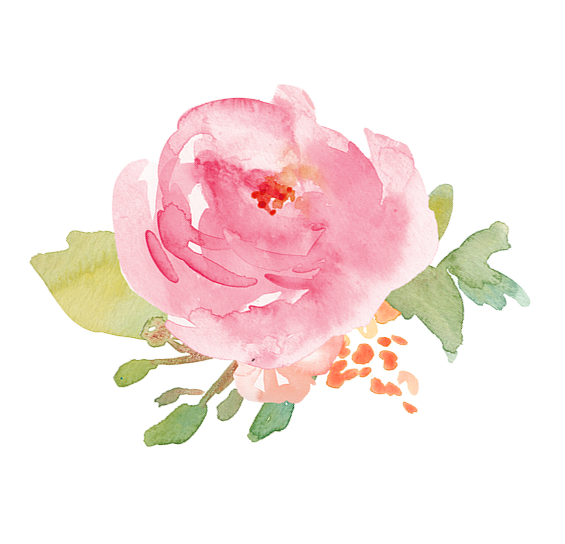 1// Using a goody claw or clip, bring all the hair leaving out a small section near the nape of the neck. 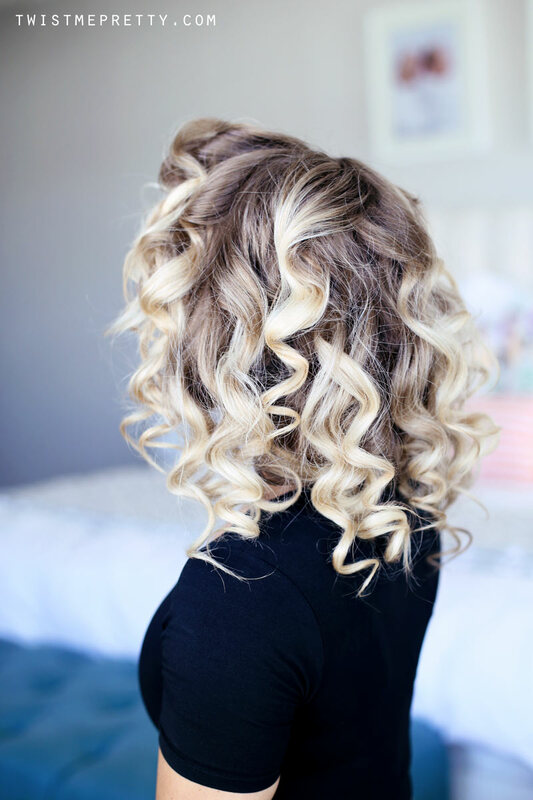 Start with small sections and twirl the hair around an 18mm curling wand. 4// Repeat all around the head! When you’re finished you can go grab a snack or finish your makeup, but wait just a few minutes before pulling all the clips out. 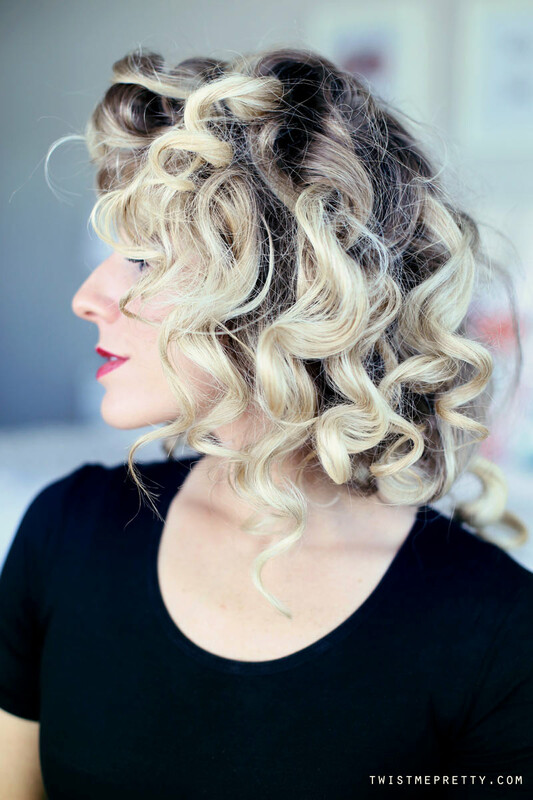 The longer you wait the tighter the curls! 6// Sweep a section of hair up and secure the side comb. 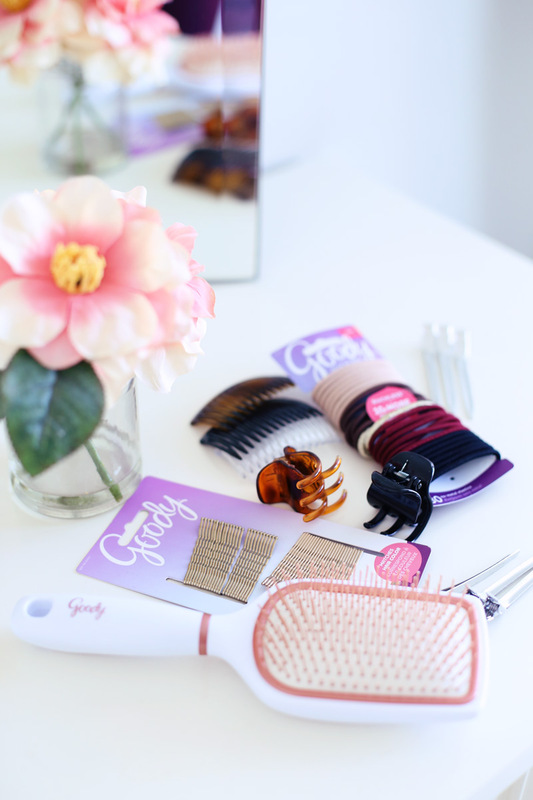 Run your fingers through the curls or even take your paddle brush to them again to make them look soft. If your hair is long like mine, you’re gonna want to take a couple bobby pins and roll the length under. You can also secure the bangs with a bobby pin if needed. Make sure to throw on your favorite red lipstick, a sassy attitude and you’re ready to go!!! If you need some more instruction, you can watch the video tutorial below! 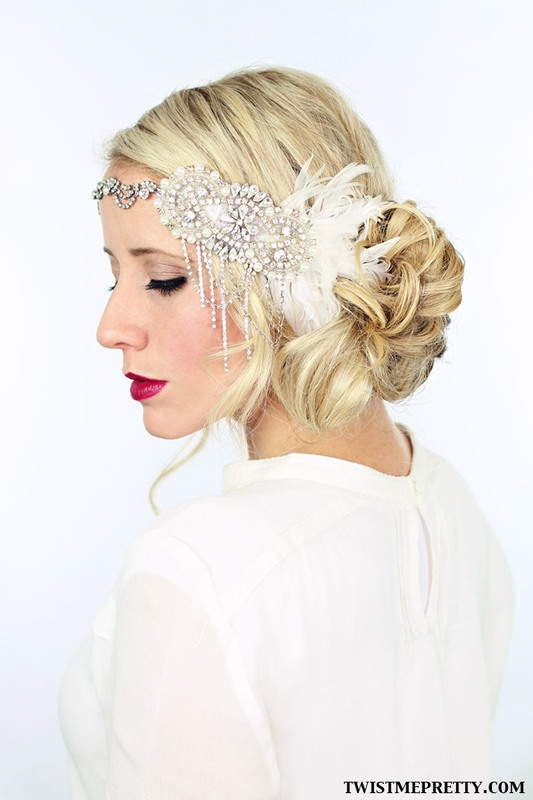 Don’t forget to checkout my Gatsby tutorial or 1940’s pin up girl! Thank you Goody for sponsoring this post! All thoughts and opinions are my own. 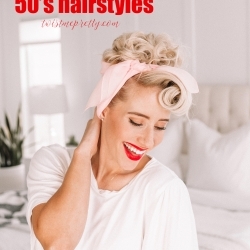 Vintage 50’s Hairstyles for Halloween!